Is It Time for a New Home? Upgrading to a new home is an exciting time in your life. However, it takes a lot of planning. Buying a resale home can be a gamble - will you really get what you want? That’s why so many people are choosing to build a new home. This means a different set of steps - but in the end you get a home built exactly how you want. Your new home will have everything your family needs. But how do you get there? Fortunately, we created a FREE Resource to help you do exactly that. 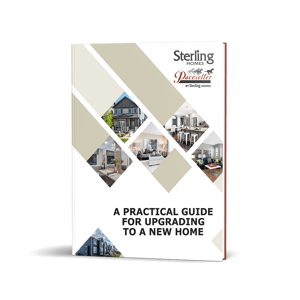 Simply fill out the form on this page to receive your FREE Copy of A Practical Guide for Upgrading to a New Home today!